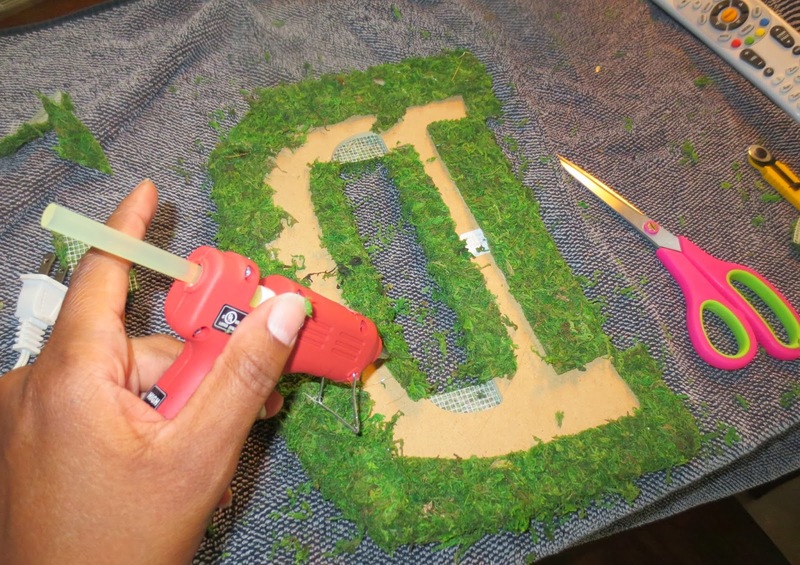 I love love love the look of moss letters so i could not wait to tackle this DIY home decor project! The best part of it is that they are so freaking easy to make! You literally have to buy two things…moss and a letter! I got the letter and moss at hobby lobby. Be sure to get the moss mat as it is all connected and you can just cut to your size. Next cut the mat to size and hot glue to the back of the letter. I suggest you can also cover the back of the letter if you would like to place it in front of a mirror so that the back won’t be looking crazy. Also before you take the moss out the bag put down a towel! That stuff is messy, it gets everywhere! The finished product on the mantle! 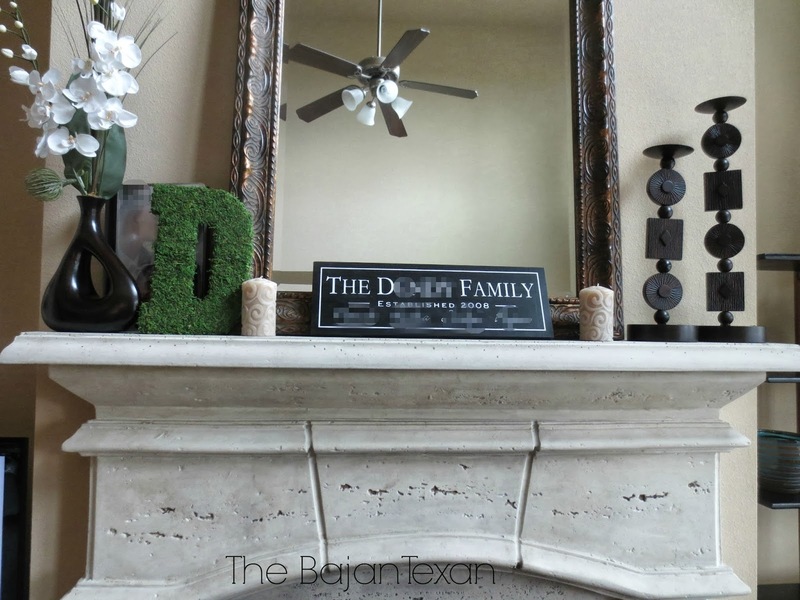 I love the look so much i’m planning on doing different sizes of moss letters around the house. I definitely want to put one as a part of a photo collage in the dining room. I’ll let you know when i’m done with that project!